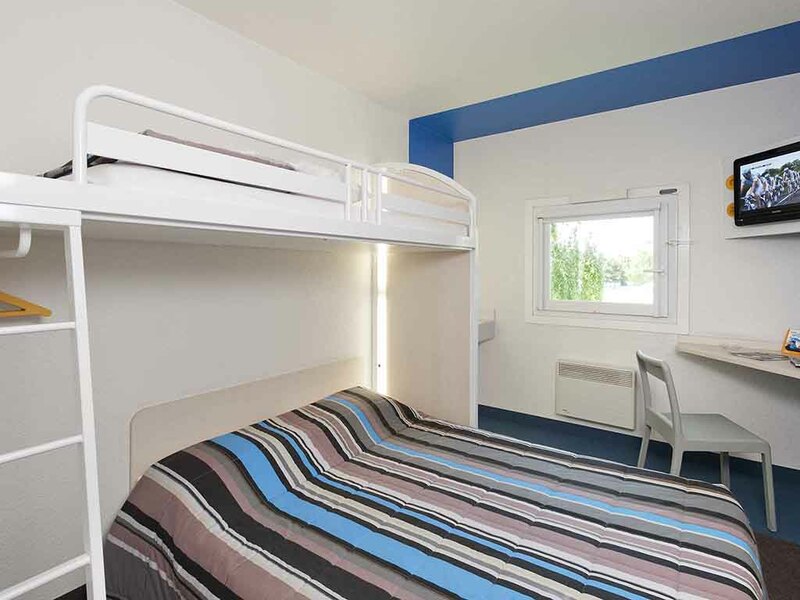 At the edges of the Loire Valley, hotelF1 Angers Sud, located 2.5 miles (4 km) from the city center and its fortified castle, is within easy reach of attractions such as the Terra Botanica Park, unique in Europe, as well as Angers Expo Congrès exhibition and meeting venue. Take a break in our budget DUO and TRIO rooms. A low-cost hotel that includes free WIFI. Accessible 24/7 with private parking and all-you-can-eat breakfast buffet. It's fine No issues, friendly staff, and free parking. Was a usual stay, so got what we expected however a bit concerned by the unexpected hole punched out in the shower cubicle ..... was a bit odd .... should get repaired. Good people with excellent personal skills, working in a lustre lacking hotel, with worn decor. The reception girl went out of her way to accommodate the guests. Her English was a lot better than my French. Really nice welcoming and helpful staff. The bedsheets had a big blood stain on them which was very unpleasant and made me feel dirty. The room was very hot and it was hard to sleep. check in was smooth an nice. hotel seems more targeted at professionals than family. On the second night a guy got drunk and put music loudy just bellow our window. While not really disturbing me, it still made my wife feeling unsafe. Helpful Louise on desk who spoke English. Rooms basic, but great for one night. Needed taxi into town. We have used F1 before and were expecting a basic level of cleanliness and facilities which is what we got! Very good short stay hotel in a convenient location near the motorway. Very comfortable. Friendly staff. Clean and comfortable room. Very satisfied.